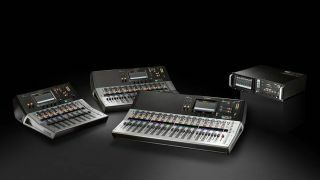 The What: Yamaha has announced a firmware update v3.5 for its TF Series Digital Mixers, adding Dan Dugan automixing capability. The What Else: Firmware update v3.5 aims to expand the utility of the Yamaha TF Series with the addition of the Dugan Speech System automixing capability. Developed in cooperation with Dan Dugan Sound Design, the update includes the innovative automatic microphone-mixing algorithm that helps professional audio engineers cue multiple live mics in situations with unpredictable dialogue. This capability is also included in the Yamaha QL Series,and more recently, the CL Series consoles. The Dugan automixer can be applied to up to eight channels in the TF Series, automatically raising the gain of microphone inputs that are active, while lowering the gain of inactive microphone inputs, and adjusting each to create a consistent overall mix level. This will eliminate the need for complex fader operation—for example, during presentations where multiple microphones are used, or panel discussions where an even larger number of microphones may be required. The advanced Dugan automatic mixing algorithm also maintains a safe feedback margin for high-clarity sound at all times. The Bottom Line: The TF Series is designed for ease of operation and a touchpanel-based TouchFlow Operation interface, popular for a wide variety of applications. Yamaha TF firmware update v3.5 is a free update, and is scheduled for release at the end of May 2017.